Radio 786 Live Stream . 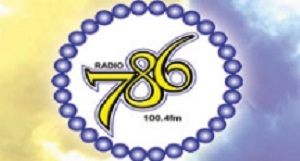 RADIO 786 – a Proudly African Voice , With its guiding motto, to inform, educate and uplift, Radio 786 took to the airwaves on 22 September 1995. By highlighting issues affecting the most overlooked, it has managed through this medium to pressure the council to deliver and government to acknowledge the rights of the downtrodden. Postal Address : 2nd Floor, Rycom Center , c/o Murton & Klipfontein Roads, Rylands Estate, 7764, Cape Town, South Africa .